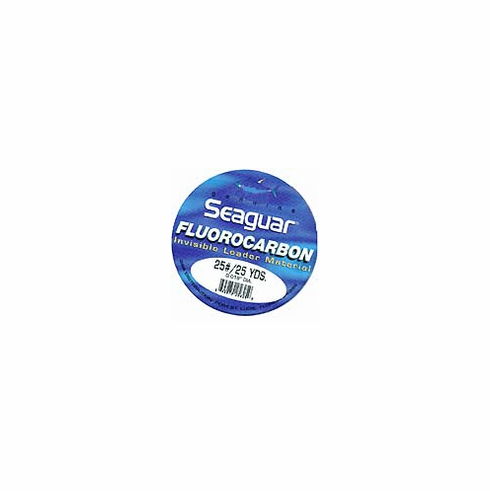 Seaguar fluorocarbon leader material Miami Fishing Supply, complete selection of offshore fishing tackle, marine electronics and boat supplies. Seaguar is the inventor and world leader in 100% fluorocarbon leader material, Seaguar Fluorocarbon is preferred by professional fishermen the world over for its ultra-low visibility, tensile and knot strength, and superior abrasion resistance. Seaguar Fluorocarbon is the top choice for all trolling, live lining, chumming and chunking situations. Because fish can't see it, you can use a higher test leader, providing an added margin of safety and success without jeopardizing the natural presentation of you bait or lure. If you fish for tuna and marlin or are just looking for that extra edge when you head offshore trust Seaguar Fluorocarbon to perform and watch your bites soar! Fluorocarbon leader material, practically invisible in the water.